Room available from 03/05/19**** "ALL BILLS INCLUDED" - *** SHORT STAY ONLY Up to 2 months!! I have a fully furnished Queen room (ensuite)) available from 03/05/19 Rent is $250 for a single person or 340 for a couple per week (Wi-Fi included)!!! - Own bathroom Indulge in the ultimate city lifestyle: - Spacious and open planned - Ducted airconditioning - Quality furnshings - Great size room - Spacious undercover balcony great for entertaining Other amenities include: * 2 swimming pools * Heated Spa * Sauna * Massive gym with a huge ofcommercial exercise equipment * An acre of lawns and gardens to relax in * 800 m to Queen Street Mall * 6 min walk to Central Station * FREE City Loop bus 100m from front door Call or text me for inspection. The complex has pool, Jacuzzi, small gym and Bbq. 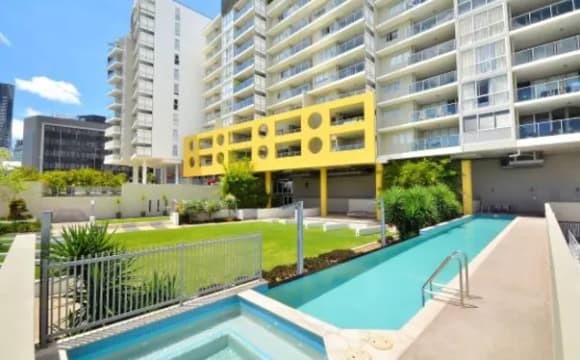 The building is also located in a really good point of the city just 5 min walking to the CBD, It has really good views so you will be able to enjoy a great sunshine. Free loop bus to the city just 100 m from the building. You will have your own bathroom with bath. This beautifully renovated 2-storey, 5-bedroom house is in a great location, close to the CBD and universities. The kitchen, living area and a bathroom are located on ground floor and all the bedrooms are located upstairs along with a second bathroom. 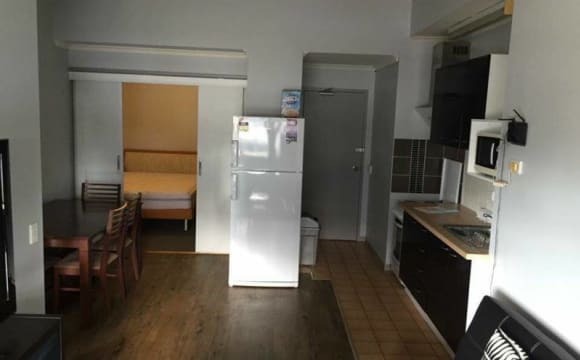 This property has plenty of space and is great for students and internet is available for tenants, courteous of the owner Each room is fully furnished which includes -	Bed, desk and chair with lamp -	Wardrobe Rooms available - ROOM 2 - $ 225 PER WEEK, AVAILABLE 10/06/2019 ROOM 5 - $ 225 PER WEEK, AVAILABLE 2/07/2019 Rent Includes: •	Electricity •	Furniture •	Water •	Gas Great location: •	15 mins walk to the city •	Less than 10 mins drive to Griffith University •	Less than 15 mins drive to UQ St Lucia University •	Less than 6 mins drive to QUT Kelvin Grove University •	Easy access to the Pacific Motorway 230 •	The free Spring Hill Loop bus service - bus stop on corner of Water St and Boundary St - 2 min walk away Rent Includes: •	Professional monthly room cleaning •	Provision of a linen pack (bed sheets x 2 &amp; pillow cases x 2); •	Replacement of the linen pack once a month (this is a collection and delivery service only and will not include making of the beds) •	Professional laundry services to wash the linen pack. 11 Thornbury Street is a heritage listed, 3-level house in a quiet street with everything you need included. No additional charges. Just move in. All rooms are fully furnished and air-conditioned. 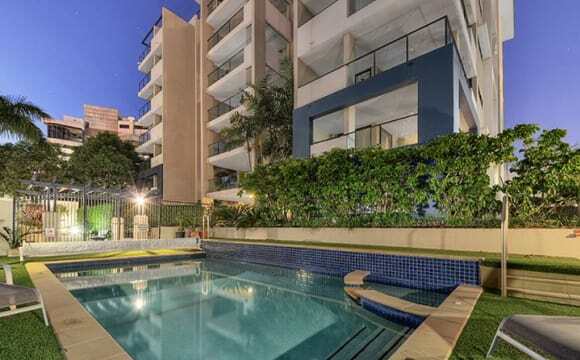 It is walking distance to the Brisbane CBD. Perfect for students who wish to study in the city or surrounding suburbs. The rent includes all utilities (gas, water, electricity), house &amp; yard cleaning &amp; maintenance. 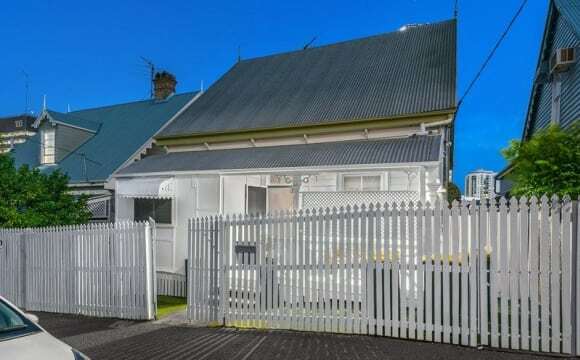 Internet available courteous of the owner Relax or study sitting on the sunny front verandah or on the breezy covered rear deck off the kitchen overlooking both the city and 11 Thornbury Street’s private backyard. Or stay inside in the air-conditioned living room. Enjoy cooking in the Industrial kitchen which includes your own lockable food cupboard. Cooking appliance, plates and cutlery are supplied. 11 Thornbury Street includes dedicated female &amp; male bathrooms with a total of 4 showers and 6 toilets. Downstairs is the on-site laundry with coin operated industrial washing machines and industrial dryer. If you don’t want to walk to the city, there are three free bus routes within 600m walk providing connection to all Brisbane buses, trains and ferries. 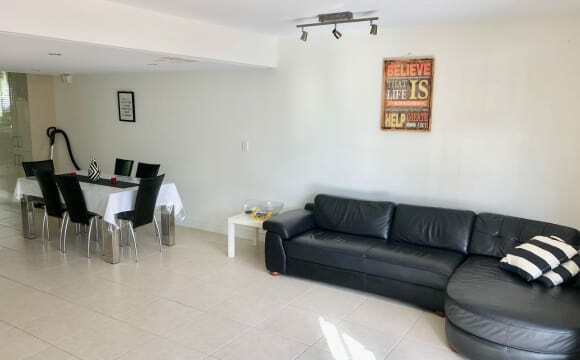 Bedrooms: 16 Bathrooms: 4 Toilet: 6 Kitchens: 2 Rooms Available Room 2 - $175 per week - Available 9/07/2019 Room 3 - $165 per week - Available 19/04/19 Room 5 - $175 per week - Available 13/07/2019 Room 6 - $165 per week - Available 27/04/2019 Room 13 - $175 per week - Available 26/06/2019 Your private lockable fully furnished room includes: -Air-conditioning -Television -Data point -Single bed &amp; fresh monthly linen delivery -Desk &amp; chair -Wardrobe &amp; drawers -Fridge Education facilities: -Royal Brisbane Hospital (Herston) 1.9km -QUT (Kelvin Grove) 2.1km -QUT (Gardens Point) 2.7 km -Kellys College 1.5kms -JCU 1.0 kms -Sarina Russo 950m -Griffith University (South Bank) 2.6km -Shafston College 3.0km -UQ St Lucia 6.7km Shopping Spring Hill Marketplace (400m) with Supermarket, Cafes, Medical Centre, Pharmacist, Baker, Sushi, 24h Fitness &amp; bottle shop China Town (700m) City Centre (1.1km) Transport: -Free City Loops - Route 40 &amp; 50 (600m) for the city and connecting to all Brisbane bus, ferry, and train services -Free Spring Hill Loop - Route 30 (550m) that takes you through Spring Hill -Fortitude Valley Train Station (800m) -Central Train Station (900m) -Riverside Ferry Terminal (1500m) Management: The property is professionally managed by Padrooms &amp; Brisbane Students. We provide a convenient on-line system to pay rent; but are also only 300m away should you need to speak with us. Padrooms &amp; Brisbane Students provides pastoral care and consideration welfare and accommodation standards in accordance with Federal Government’s Education Industry National Code of Practice. Call Padrooms now to book an inspection. I’m renting a room to share with a girl. $150 week. All bills are included . 2 weeks bond. fully furnished. Bus stop. spring hill loop. 5 min walking to the city or to the valley. Nearby commonwealth, woolworths (2 blocks away) in the heart of Spring Hill. Washing machine and Dry (free). Netflix free. The building has swimming Pool and BBQ!!! We are renting a Master room / Queen bed / couple $320 per week. ENSUITE BATHROOM / BALCONY / refurbished, all bills included . 2 weeks bond. fully furnished (almost all new). Duplex with 2 balconies. 3 bathrooms. Bus stop just in front of the building (free - Spring hill loop). Beside of restaurants. 7 min walking to the city or 10 min to the valley. nearby commonwealth, woolworths, Domino's. Washing machine (free) no coins. Netflix!! This great large two bedroom fully furnished apartment is ideal for a single person or couple with children and has a friendly homely feel. Wooden highlights and Victorian sculpted ceilings bring the space to life. 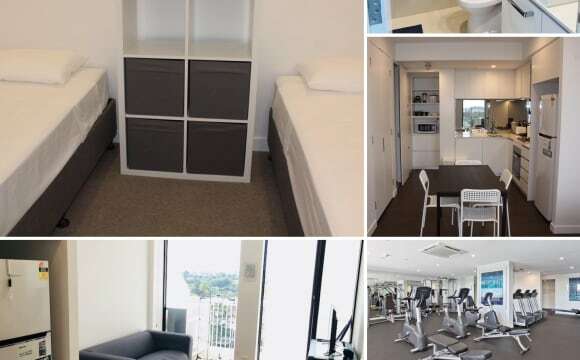 Situated in Phillips Street Spring Hill, the unit is in an ideal location for those working in the CBD or the Valley. Central city and river access in 10 minutes walking distance and for longer trips public transport is less than 200 meters from your door to most of Brisbane! What do you get in your fully furnished apartment? ** Huge rooms! ** Kitchen • Fully appointed kitchen including a gas cook top stove top, grill and oven. • All kitchenware including plates • Everything you need to live right down to the knives, forks and spoons. • Microwave • Fridge Main bedroom • Fully furnished room including all linen and towels. • Comfy KING size mattress. • 2 x Tall wardrobes • Side table • Ceiling Fan Bedroom 2 • Single Bed including all linen. • Storage Hutch Lounge Room • TV • A 2.5 seater fold out bed sofa for when you have friends around • Single seater Sofa • Dining table • 3 Dining chairs • Air conditioning • Fan A couple would normally spend on gas and electricity alone per month (approx. $130) you know already that this room is at a great price. The savings in not having to pay the utilities overhead are enormous! 3 month, 6 month, 12 month leases available now. Great for contractors as you only have to give us two weeks notice to vacate after your original rental term expiry. Bond and 2 weeks in advance gets you started. Don’t hesitate to call and view today. You have all the bills included plus aircon and dryer. Also the building have jacuzzi, swimming pool, gym and bbq. 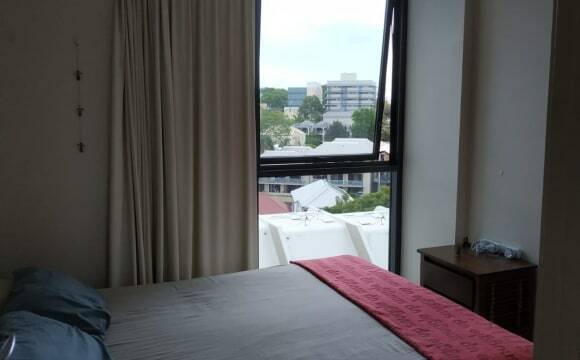 Located just 8 min walking to the CBD, with the free loop bus stop in the corner. 2 bedrooms for rent. 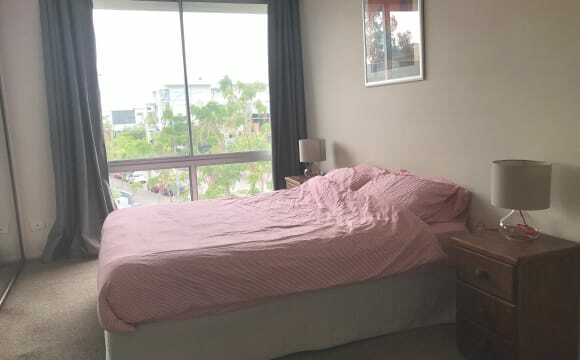 1 x master bedroom freshly painted white with brand new carpet + queen bed + en suite + a balcony + fully furnished + study desk/chair + gym - $320 (single). Double is negotiable (don't hesitate to ask and you will be surprised!). AVAILABLE FROM 10th MAY 2019. 1 x bedroom freshly painted white with brand new carpet + brand new double bed + a balcony + shared bathroom + fully furnished + gym - $260 (single). Double is negotiable. All room rates are inclusive of reasonable usage of water, electricity and unlimited internet. Secured undercover car park available. Although rooms are fully furnished, they can be removed if you have yours already. Linen, pillows, blankets can also be supplied. Full use of common area - fully equipped kitchen, fridge, microwave oven, washing machine, sofa, TV and dinning table/chairs. All brand new. Short term or long term stay. Minimum stay is flexible. Just let me know how long you want to stay initially, and after that you can either extend or leave. Just bring your suitcase/backpack. Smoking strictly on balcony only. Free Spring Hill Loop bus stop nearby. 18 minutes walk to Central Station. 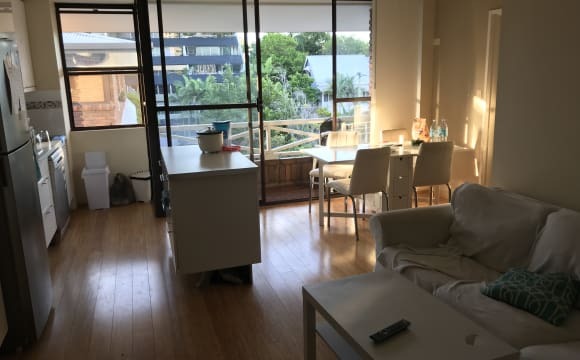 ***SHORT TERM*** COUPLE ROOM IN SPRING HILL Inner Brisbane, Brisbane $280 WITH ALL THE BILLS INCLUDED 109 Leichhardt St, Spring Hill – Brisbane Hello everyone!! We have a room available in our house from 29/04 to 10/05. 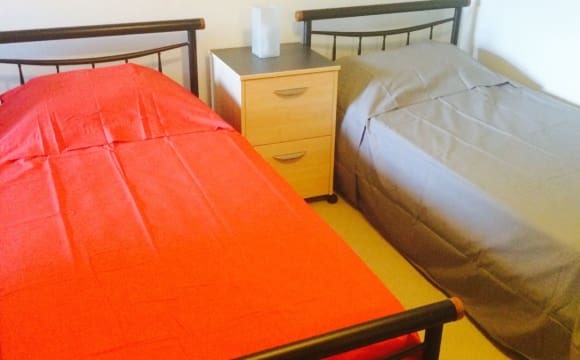 RENT: $280 per week • Furnished couple room with shared bathroom • Unlimited wi-fi and energy • Air conditioning in the room The apartment is located in the heart of Brisbane city, close to everything such as train and bus stations, Hungry Jack's city, Fornitude Valley, restaurants, supermarkets, Bottle shops, etc. 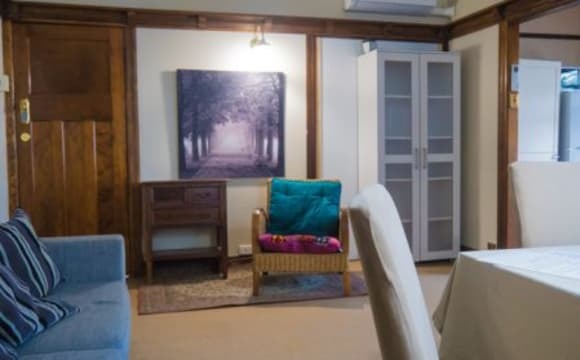 If you are looking for a comfortable place in the city to spen a couple of weeks, this could be a good option. For further information, call or text Cheers! Furnished, all expenses included, queen sized air conditioned bedroom with own bathroom and a pool! 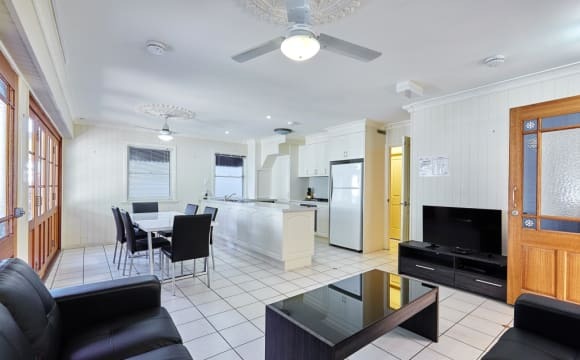 Really comfortable large apartment with air con in living area and a fan in the bedroom. It also has its own private access from the street. Only a 10 minute walk to Central Station and buses arrive at the end of the street. On street parking. Resident permit provided for parking. Rent Includes electricity, foxtel, and internet. This room is for one persons only. No pets. Non smoker only. I have a great room available in a modern unit complex. It is very private as only one unit per floor with direct lift access. The room has a great view of the pool and city area and has air conditioning and a fan. You will have your own bathroom and toilet. The unit is furnished and has whitegoods and TV supplied. My share mate is moving on and I'm looking for a good share mate to replace my friend on the lease which is current until June 2019. Looking for one girl. This is a nice and tidy house at spring hill near to city. Ensuite bathroom. Built-in wardrove. Bbq area carpark. All bills included. You don't need to pay anything apart $150 pw. 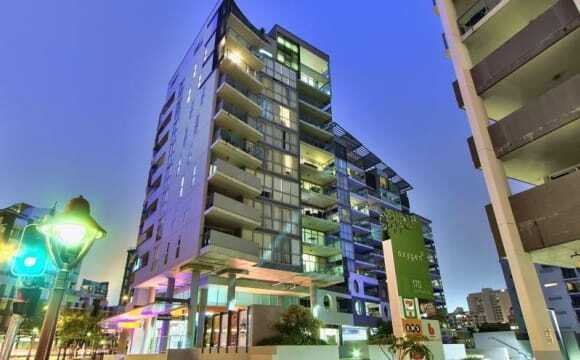 *Awesome location of spring hill in heart of CBD. 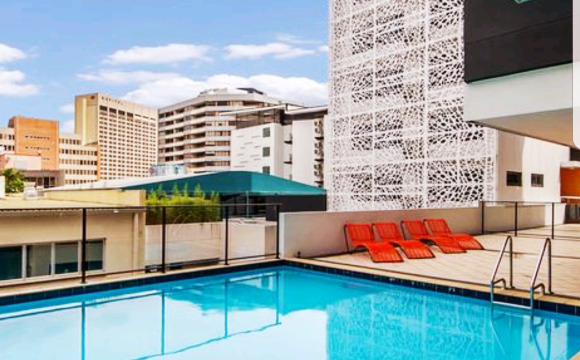 Fortitude valley and Queen street mall is at 10 mins walking distance. One spot has just become available for one female from the 23th of April. (Date not negotiable) 2 Room 1 Toilet 4 people share. 1 Room is for 2 men (Fulled) , 1 Room is for 2 women (1 Sheds available) The apartment is very close to the city with easy access to everything. (Woolworth, etc) fully furnished, nice balcony, very clean. $125/Week (Bills not included) 2weeks x $125 Anticipated. (Paid until 22/04/2019) Bond : $500 (Paid until 23/04/2019 , you will get all of this back) You can move out whenever you want if you find someone else for your place.